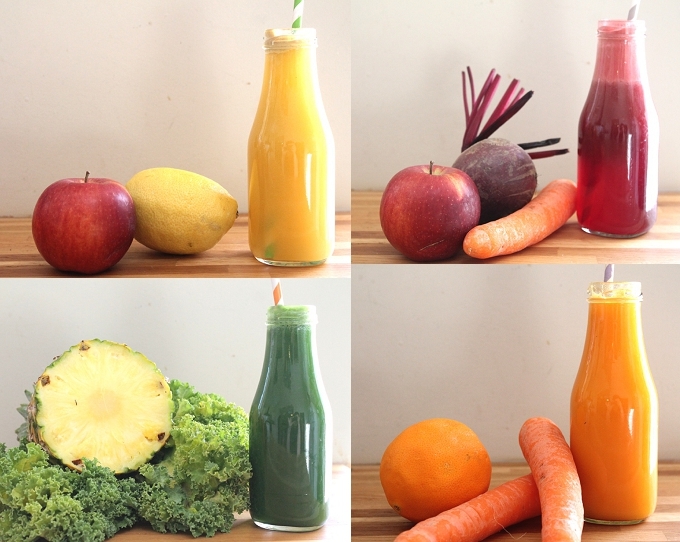 Four kid-friendly fruit and veg juices. Juicing is massive right now. 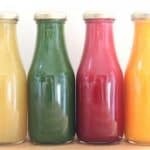 Juice bars are cropping up all over the country, local shops are now stocking juice drinks and my social media feeds are full of people embarking on juice-only diets. I have to admit I first got into juicing a few years ago when I drank only fruit and veg juice for three days in order to lose a few pounds for an event. Looking back now it was ridiculous. I didn’t need to lose any weight (I’d pay good money to have that pre-baby body back again!) and surviving on only juice for three days whilst I was working 11 hour days and exercising was quite frankly stupid. Thankfully I ditched the faddy diet quickly but my fondness of juicing has remained. Fast forward a few years I am already on my second juicer (this Philips Whole Fruit Juicer*). I try to use it a couple of times a week and lately have been introducing my little fussy eater to more and more ambitious fruit and vegetable juice concoctions. She was quite resistant at first but now will drink small amounts of most juices that I make. 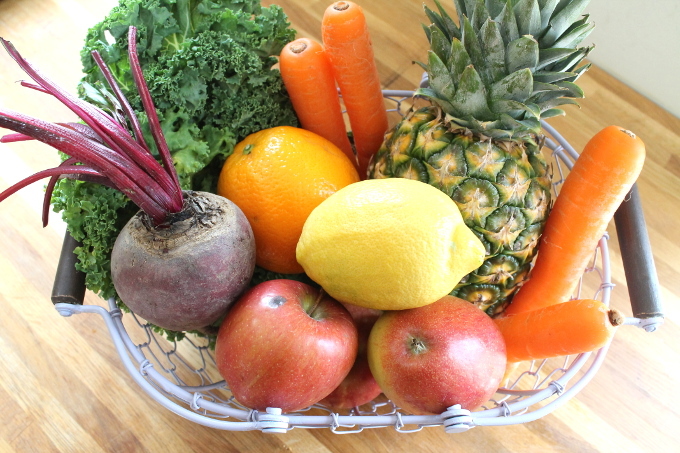 Juicing should not be used as a replacement for fresh fruit and veg for kids, but it is a great way to get some extra nutrients into them, especially from produce that they may otherwise refuse to eat. 1. Get them involved in the process. Bring them to the supermarket or your local fruit and veg shop and get them excited about choosing your produce together. 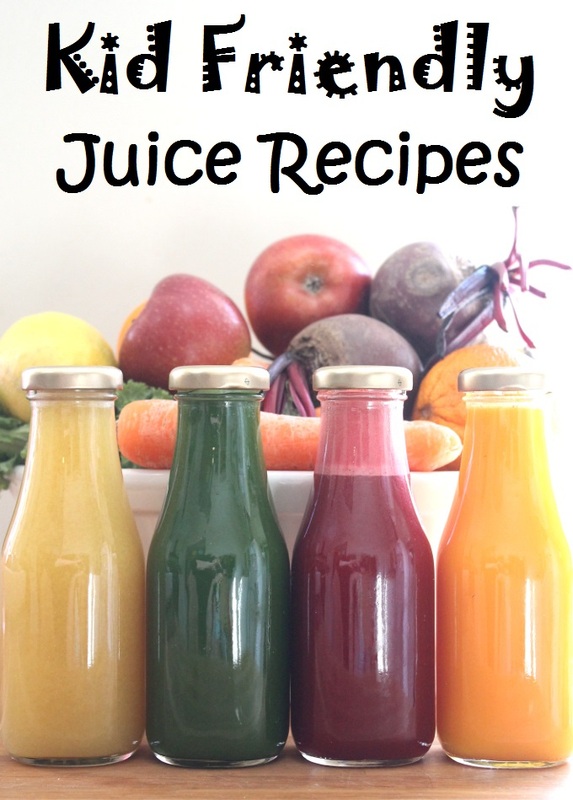 Juicers are not machines to be used by little people but encourage them to watch you juicing. They’ll be amazed to see the carrot going in and juice coming out! 2. 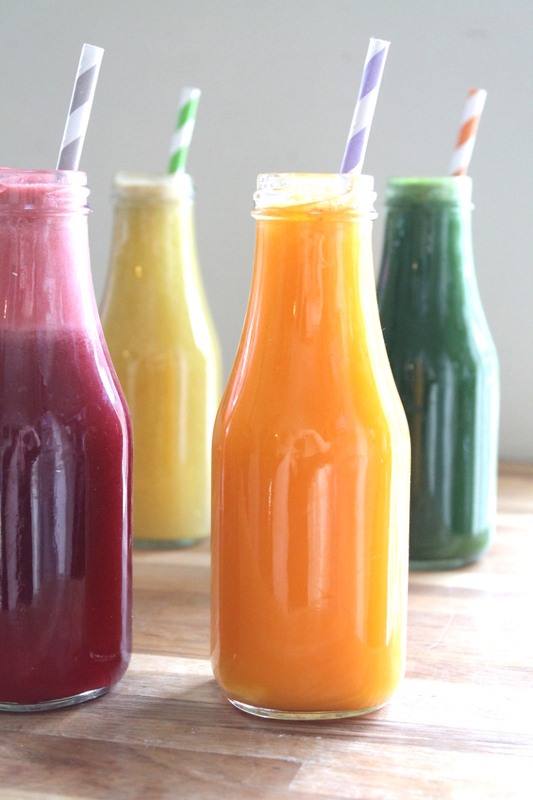 Start with more fruit than veg juice. It will take their taste buds a little while to adjust to vegetable juice so introduce that slowly. 3. Add water to the juices if necessary. 4. My juicer makes quite smooth juices but you can always strain the juice to remove any little bits that your fussy eaters don’t like. 5. Fresh juice tastes best cold so be sure to chill it before you offer it to them. 6. 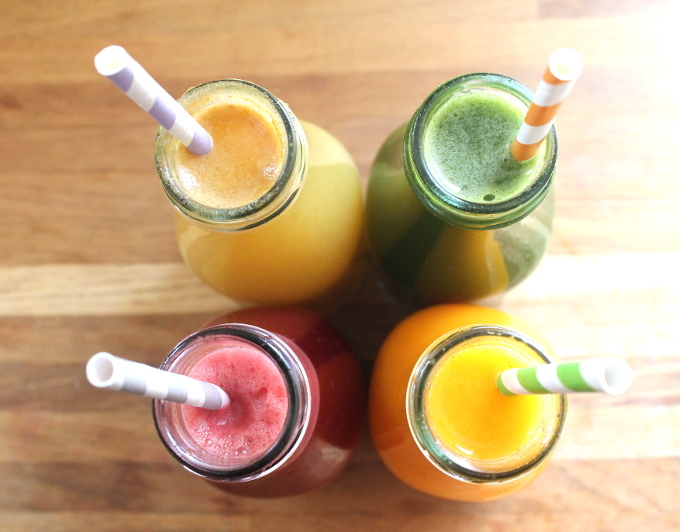 Use pretty glasses and colourful straws to make the juice appear more enticing to little eyes. The quantities are set out in the recipe below. 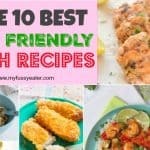 I hope you and your fussy little eaters enjoy them! Wash the fruit and veg. Cut into pieces if necessary (some juicers are allow you to put whole pieces of fruit in, some require you to chop it up). The juices are best served that same day but I do sometimes make them in bulk and keep them in the fridge for 48 hours. 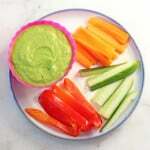 Can you taste the vegetables or does the fruit sort of mask them while still giving you all the nutrients you need? 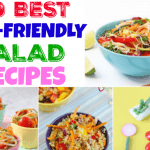 Fab way to get things like beetroot and kale into my little one who is really fussy! My little girl and I both love the ABC juice! Great way of getting things like beetroot and kale into kids as I know my little one wouldn’t touch either of those things if served with her dinner! This looks great and can’t wait to try them! Do you peel your lemon? Eating habits that are established in childhood often remain with people their entire lives. Numerous jokes have been made and funny stories told about the struggles many parents face when seeking to get their children to eat vegetables. Can you recommend a recipe using kale and spinach but with no fruit that children might like? Most of the time fruit is added to sweeten the juice. Kale and spinach can be rather bitter but if you’re kids don’t mind the strange color of the juice try adding carrots or even a small amount of beet root to it as well it will not look very nice but it will taste better. i am considering producing fresh and healthy fruit juices for children commercially. Can you advise on ways to preserve them for at least a week or two? Sorry I have no idea!!! Fresh ….. is preservative free!!!!!!! !